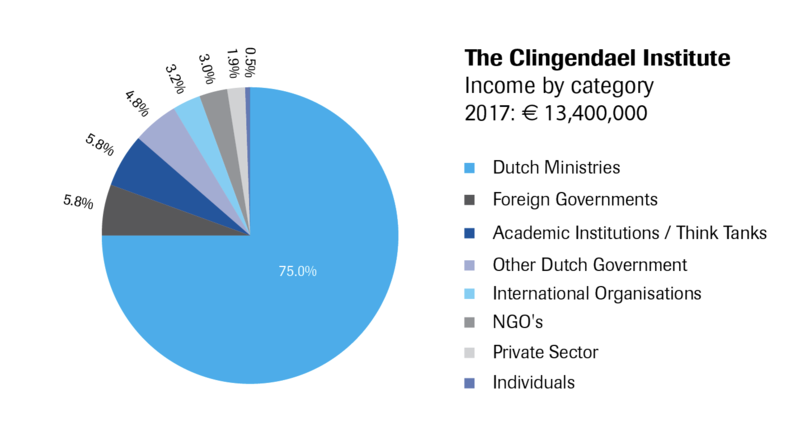 Clingendael receives its funding from multiple sources. Our revenues are generated from commissioned training and research projects for clients in both private and public sector from all over the world. These include ministries, NGOs, international organisations, and academic institutions. A full list of our clients categorized by size of contribution for the year 2017 is available here. More information on our training and research programmes can be found in our Annual Report 2017.